The liver is the body's primary detoxification organ, and works with the gastrointestinal (GI) tract to remove toxins encountered from the food we eat, as well as t hose produced by metabolic processes. When the GI tract is not functioning properly, additional burden is placed upon the liver. It is important to periodically restore the body's ability to eliminate toxins and maintain optimal liver function. Most of the toxic compounds the body is exposed to are fat-soluble. 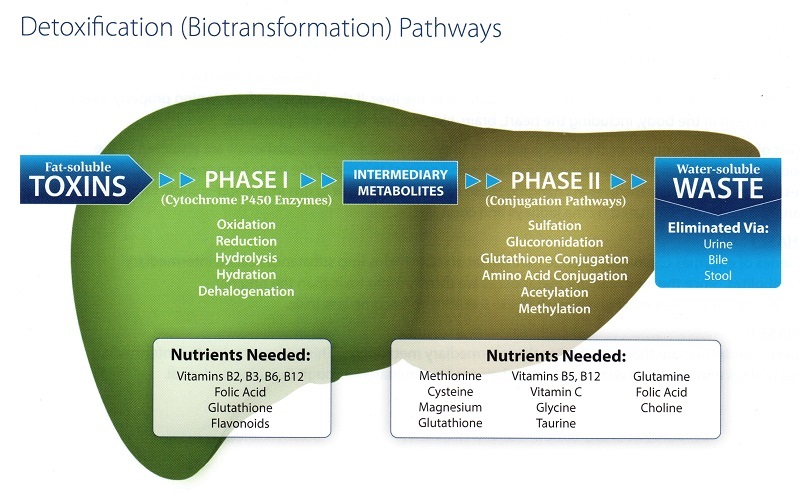 Phase I of detoxification is responsible for converting these fat-soluble toxins to intermediary metabolites. These metabolites are often more harmful and reactive than the original toxins, and must be converted quickly via Phase II conjugation to water -soluble compounds that can be eliminated via stool or urine. 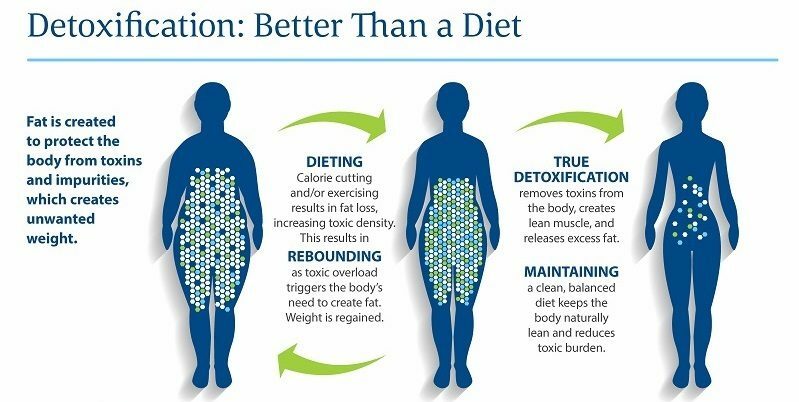 Are You Ready to Detox Your Body?